It's as simple as making oatmeal, slicing up some whole wheat bread to make a nose and ears, then adding a blueberry, almonds, and chocolate for the adorable extra facial details. 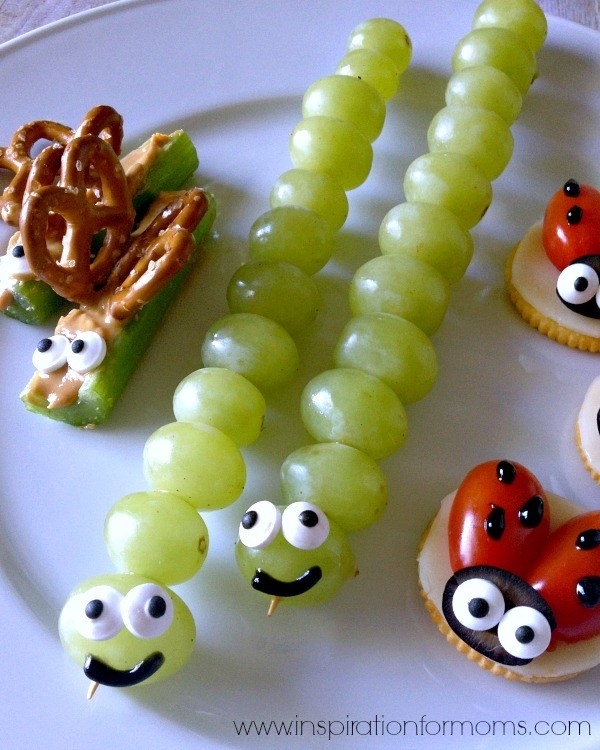 You don't have to be Picasso to make this dino dish. Start with a slice of toast and cover it in peanut butter. Save some of the crust to make the trunk of the palm tree, and finally slice up some bananas and kiwi to complete the plate. 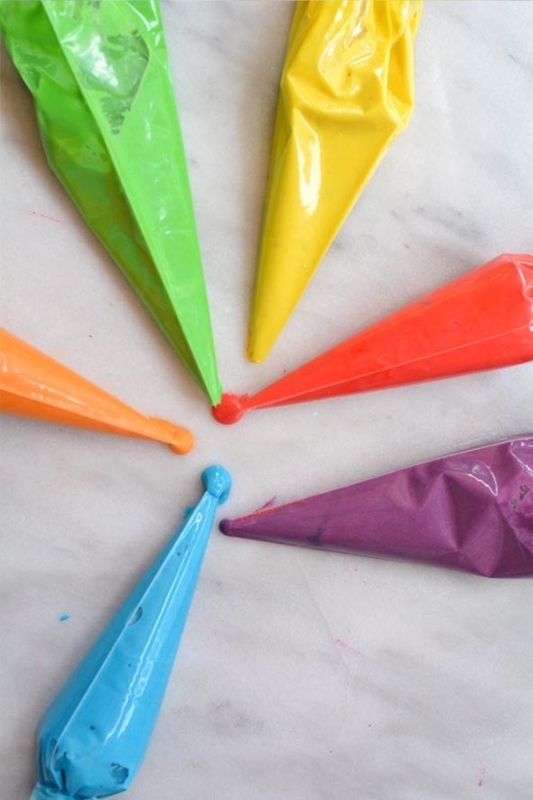 Bookmark this one to keep the kids busy on a cold winter day. Learn how to make it. Getting kids to eat their veggies has never been easier. And let's talk about those cauliflower clouds. Learn how to make it. Just smash an avocado directly in its peel, add cucumber slices for eyes and a carrot for a nose, then surround the whole thing with tortilla chip "feathers". Add a pop of color to the morning. Cut up a watermelon, some fruit and berries, then let the kids make their own personal slices. 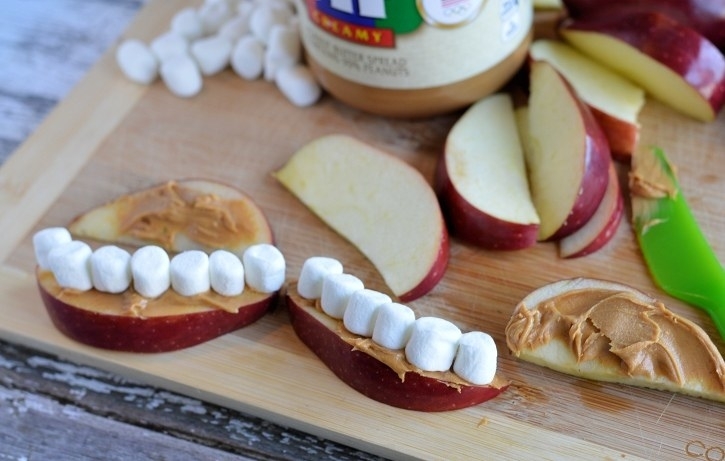 Here's a trick: Add a layer of Greek yogurt or peanut butter on top of the melon so the toppings stick. Take taco Tuesday to the next level. 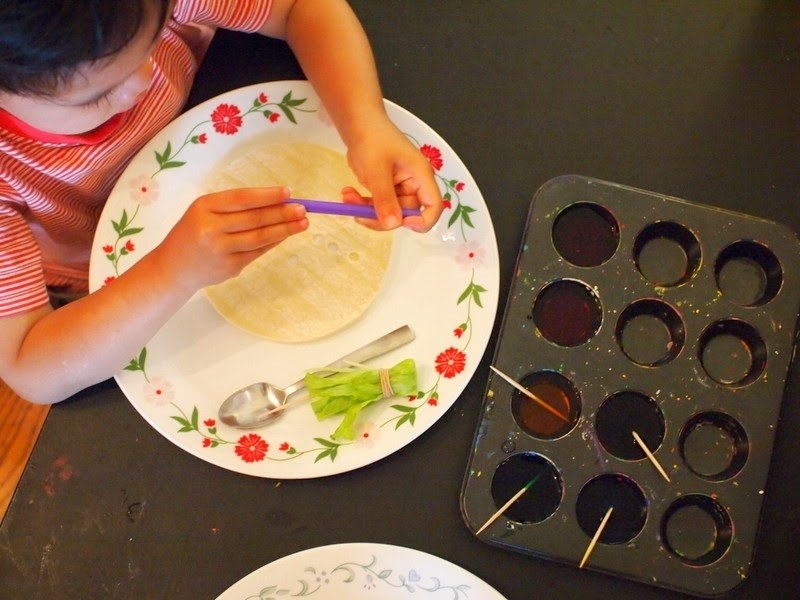 Let your little one color his own tortillas, then set up a DIY taco bar so he can fill 'em up with his favorite toppings. Learn how to make them. 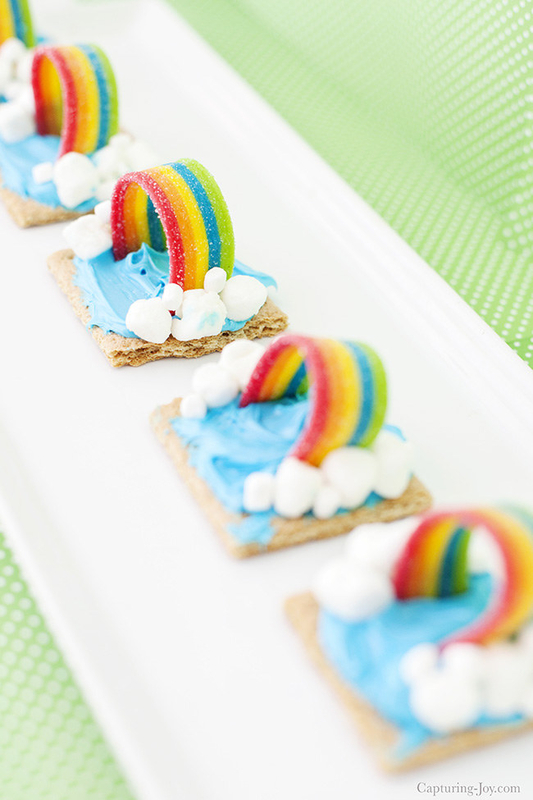 Have you ever seen a more whimsical dessert? Learn how to make it. 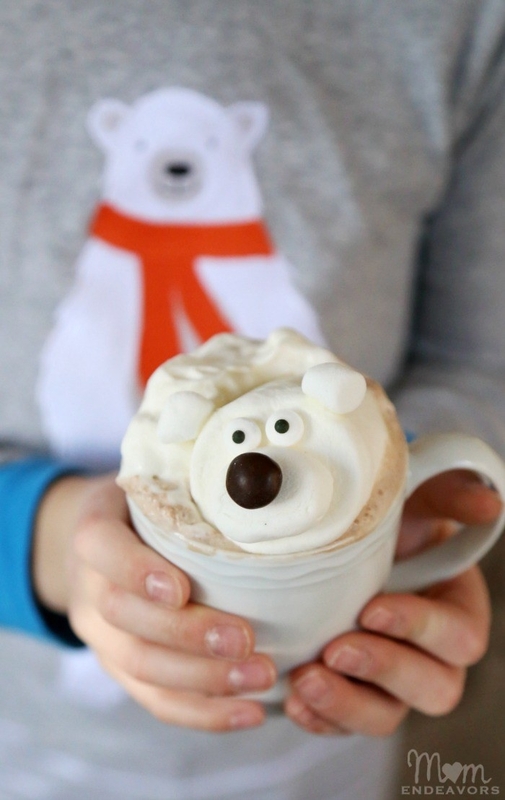 All you need are marshmallows and some chocolate candy to make these adorable bears. Learn how to make it. 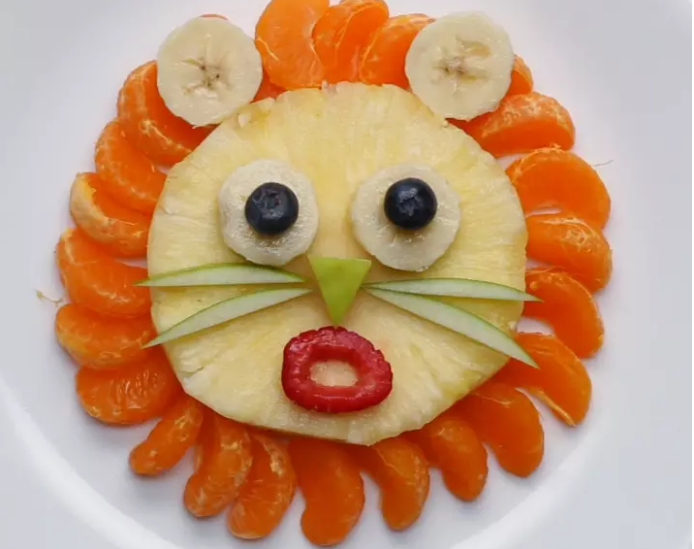 Top your toast with peanut butter or nutella, then add bananas, apples, and berries to make the animal faces. Learn how to make it. Not your usual maki roll: This sushi features sliced bananas rolled in Greek yogurt and covered in fruity pebbles. The best part is you can switch this recipe up and top it with anything from peanut butter and granola to honey and Rice Krispies. Learn how to make it. 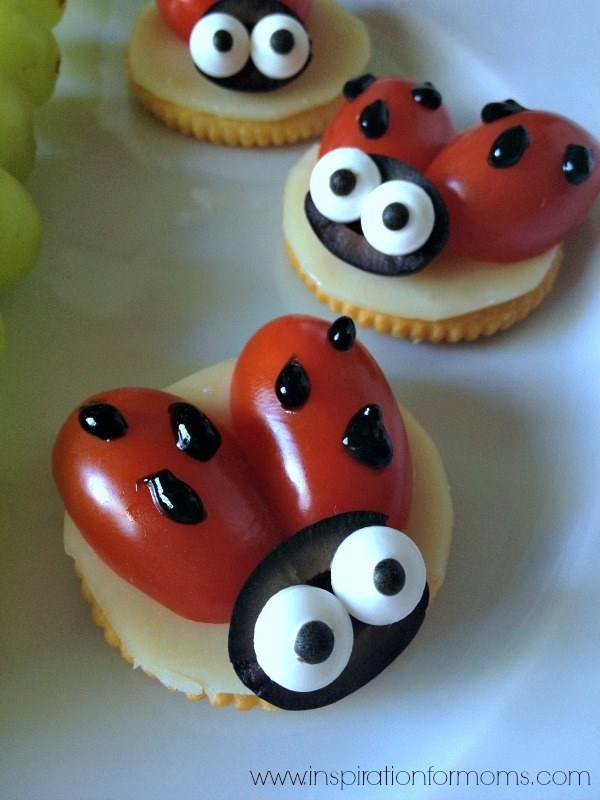 So adorable, and zero cooking skills required. All you have to do is slice up some fruit! Learn how to make it. Isn't this a hoot? Learn how to make it. 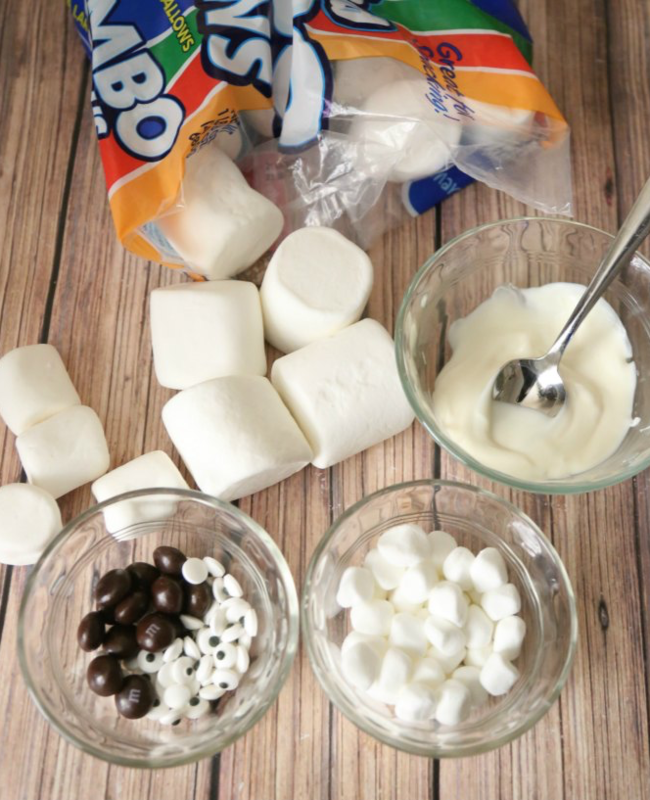 For an out-of-this-world dessert, whip out the doughnuts (store-bought if you want to save time), frosting, food coloring, and Lucky Charms marshmallows. Learn how to make it. The little ones will jump out of bed in the morning for these. Learn how to make it. 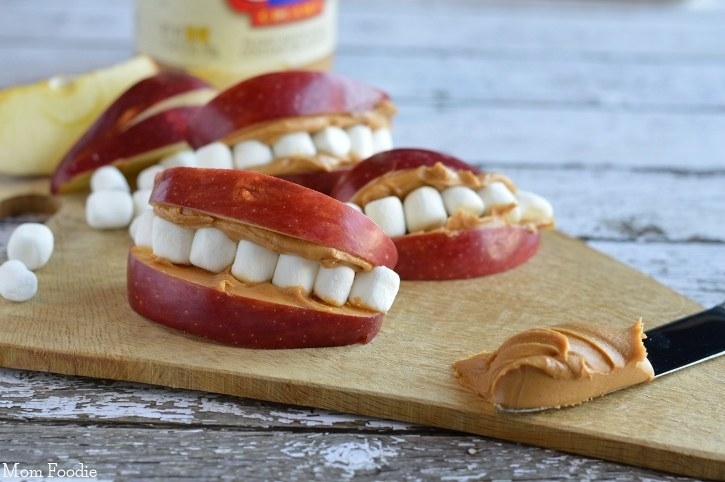 Your kid will most likely try to fit this whole thing in his mouth and proceed to smile creepily at you. Learn how to make it. 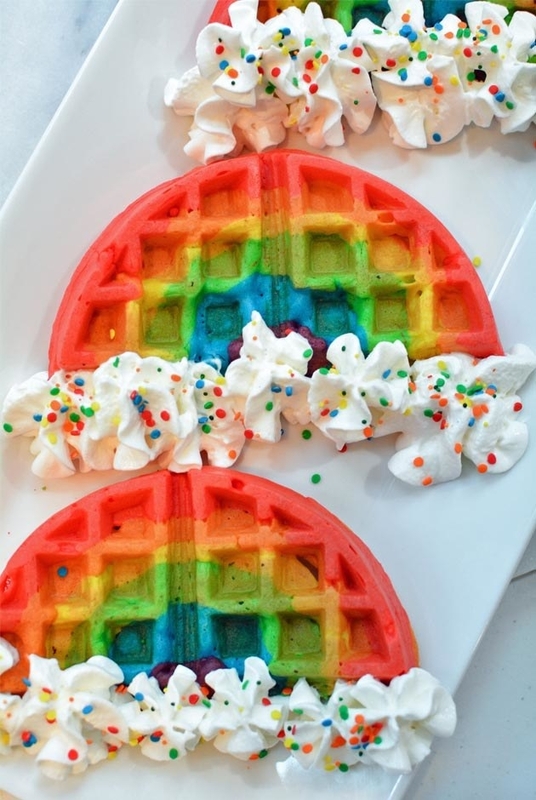 Separate your waffle batter into bowls and add some different food colorings. Spoon the batter into the waffle iron, and voilà. Learn how to make it. 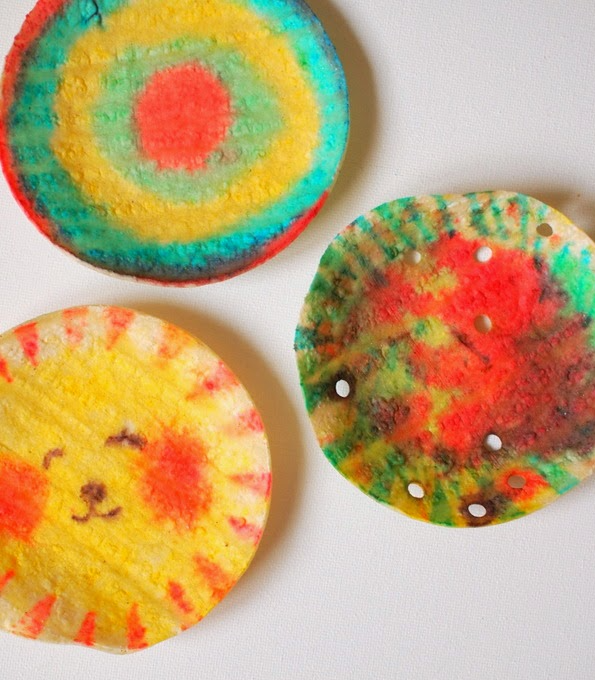 Read "The Very Hungry Caterpillar," then make these. Learn how to make it. 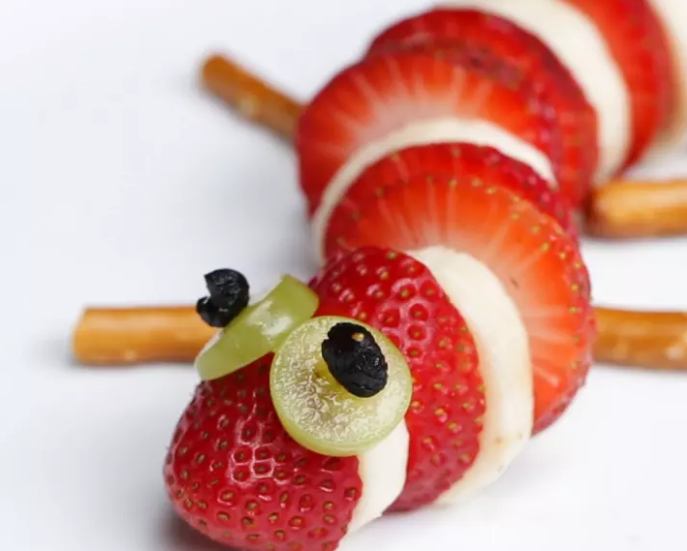 This dessert is almost too adorable to eat. 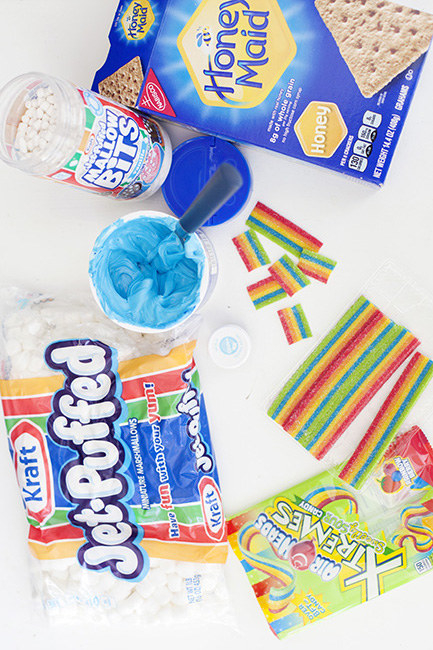 And all you really need is Nerds candy, gelatin, blue food dye, and Swedish fish. Learn how to make it. Slice a waffle into triangles and top it off with sliced bananas and sprinkles. You could opt for a drizzle of Nutella and a cherry on top...but just don't forget the whipped cream!